Obituary for Morris J. Corraine | Rhoney Funeral Home, Inc.
Morris J. Corraine of the Town of Cambria, NY, passed away peacefully on Sunday, March 24, 2019 at his home under the care of Niagara Hospice with his loving family by his side. He was born in Coupon, PA, on October 18, 1931, the son of the late Louis and Enrica [Barone] Corraine. Mr. Corraine served with the US Army in the 82nd Airborne during the Korean War as a paratrooper. After the service, he moved to North Tonawanda, where he was employed at Durez Plastics as a millwright and crane operator. In addition to being a loving father and grandfather, he enjoyed working in his yard, driving his tractor and spending time with his family, going back to Pennsylvania and trips to the 911 memorial site. Mr. Corraine liked to be called Jay and enjoyed making everyone laugh with his jokes and sense of humor. He was the the husband of 39 years to the late Marion [Cribbs] Corraine, who passed away in May of 1994. Mr. Corraine is survived by his seven children Michelle (Mike Cain), Michael (Margaret), Mark (Barbara), Marilyn, Marie (Tim Czelusta), Melissa (Dan Murray) Corraine and Melinda (Scott) Olick, 13 grandchildren Michele, Michael, Michael, Nicholas, Christopher, Matthew, Martin, Gary, John, Destini, Justice, Daniel, Keegan, 7 great grandchildren, a sister Marlene (Don) Small, a brother Louie (Monica) Corraine, also many nieces, nephews and his grand dog Scout. 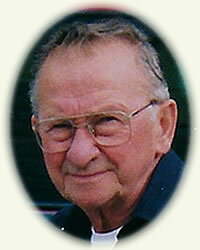 He was the grandfather of the late Dennis and brother of the late Geno and Ernest Corraine, Rene Goraj and Helen Papal. His family will be present on Wednesday from 4-8 PM at the RHONEY FUNERAL HOME, 5893 Hoover Road, SANBORN, NY. Friends are invited to attend a Mass of Christian Burial on Thursday at 10:00 AM at Immaculate Conception Church, 4671 Townline Road, Ransomville, NY, with the Rev. James R. Bastian officiating. Our family would like to offer a special thank you to Stone, Maria, Cindy and Brianna from the Never Alone Agency for the kind care they offered our Dad in his final days. Memorials may be made in his name to Niagara Hospice. Inurnment in Acacia Park Cemetery, Town of Pendleton, NY.